With good health, you really can do great things. You’ll have the stamina to do things, the persistence to be successful, to last the course of the goals and successes you want to achieve. Adopting life-long health habits is not hard at all! Today, I’ll show you how by giving you my 5 Keys to Great Health! 1. Water — lots! When I was younger, I was permanently dehydrated. Once I stared drinking, I felt and looked so much better. 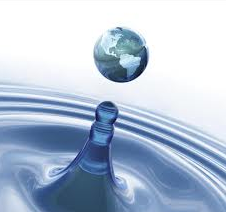 It is true, you do need to drink pure water – on its own, not as part of anything else. 2. Good food for life – eat as natural and as close to the natural state as possible. For me that means organic and lots of salads. You don’t need to have everything organic, but if you eat 80% organic of the foods that need to be organic, you have great building blocks for your body, which can tolerate and deal with small amounts of not so good chemicals, instead of being overwhelmed if you eat mostly polluted food. Consider buying organic if you eat the skin of anything – most have heavy pesticide residue, though there are exceptions like asparagus. Do some basic research. 3. Supplements and Vitamins – again, do your research! You need some to boost your immune system. If you are dark skinned or live in Canada or most of the US or other countries significantly north of the Equator, are indoors most of the time, you probably need Vitamin D supplementation for starters. There is very good science, research and evidence behind it, unlike some other things touted as scientific out there, but are suspect. Again, go to some research. 4. 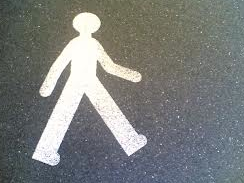 Exercise – start with Walking – make it a total of 14 – 25 miles per week. You can break it down any which way you like. There is no advantage to walking fast or slow – just walk, not jog or run. And it’s best done in smaller blocks. I do about 2 miles every day and break it into at 2 ses sions most days. Regular exercise including weight training will follow on naturally once you start feeling the wonderful effects from walking. 5. Be grateful, expect great things, surround yourself with happy people. You’ll rise to meet that positivity. What a great place to be. Remember, what you focus on, expands. Wouldn’t you rather have happy and great things happen to you? Things will seem to fall into place of their own accord. The people around you will like you, and you’ll be able to lead a true purpose-led life. Once you’ve got your health squared away, you can concentrate on other things. As someone once said, if you think eating (and being healthy) is expensive, try being ill.
You get such a sense of happiness and wellbeing from being healthy, you don’t need anything else to do so. It becomes your natural state, and everything else is a bonus. Isn’t a healthy life great? What do you do to be and stay healthy? Drop me a comment below and share. 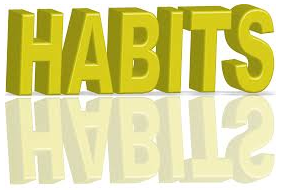 Great Habits And Success – Subconsciously….